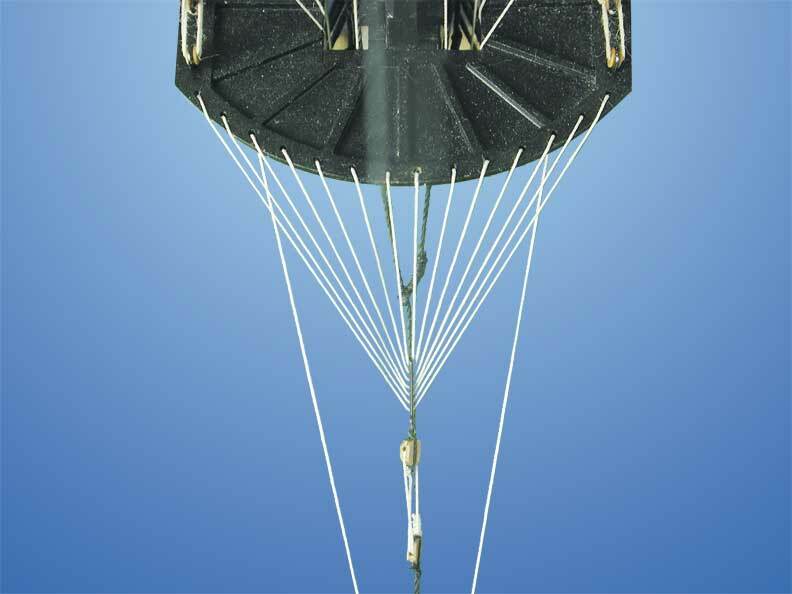 JoTiKa Ltd. ~ HM Bomb Vessel Granado Construction Page 9. Click on any picture to open a larger colour version in a new window. Model designed entirely in-house by Rich, Dave and John. 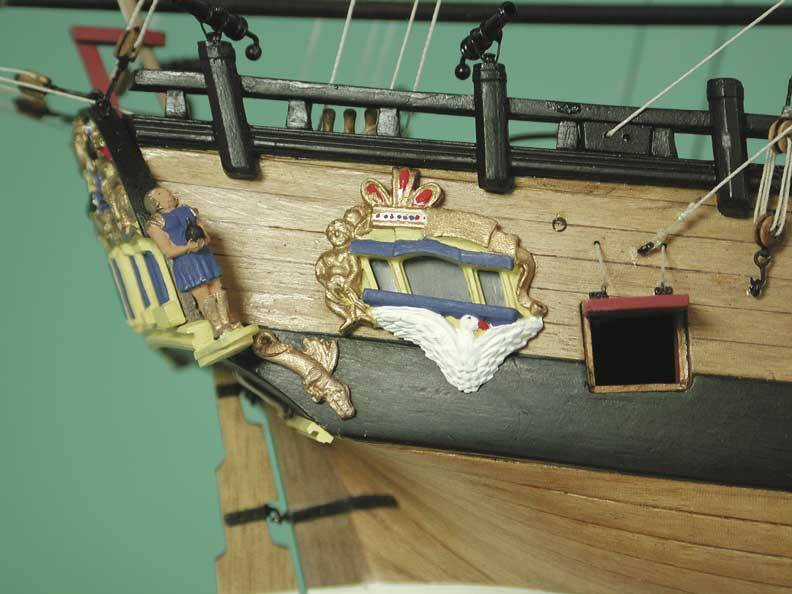 HM Bomb Vessel Granado (1:64) as fitted between the period July 26th 1756 and March 20th 1760. 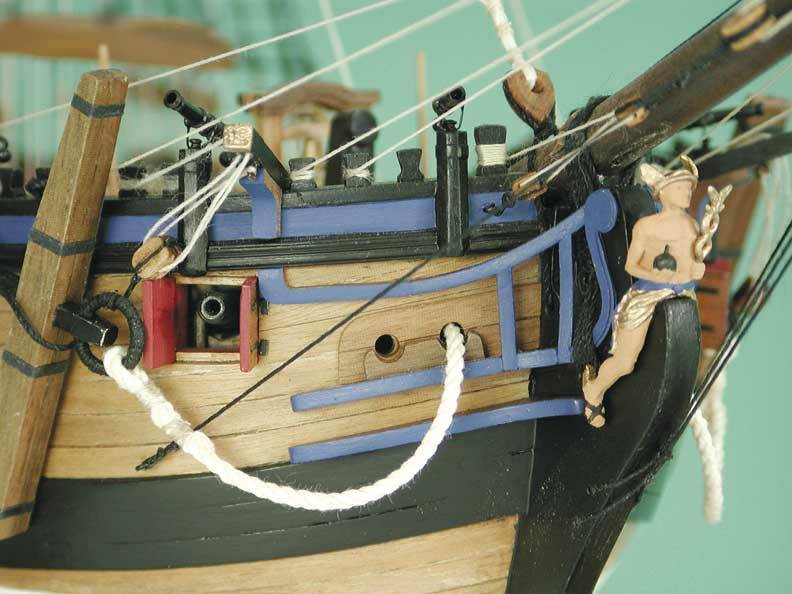 Her armament includes 1 x 13 inch mortar (fore), 1 x 10 inch mortar (aft), 10 x 4pdr carriage guns and 12 x 0.5pdr swivel guns. 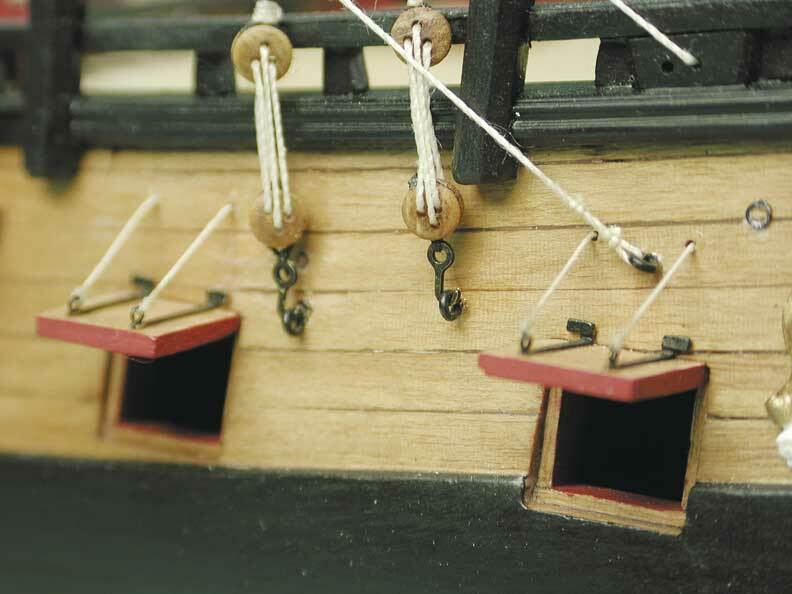 Detail shot of the after cabin lights, also showing the mizzen topmast and topgallant mast backstays. Note also one of the ten included brass etched scuppers. 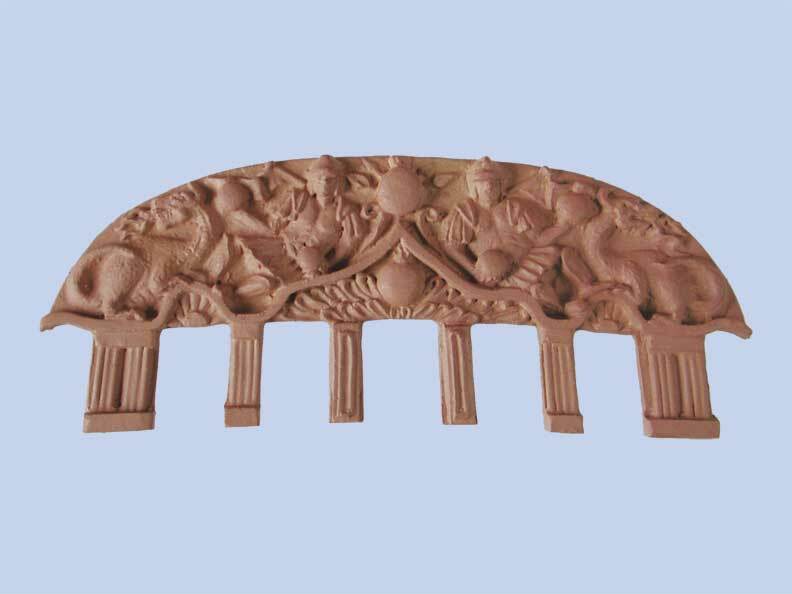 Transom decoration, note also the two after ports located at the stern counter. 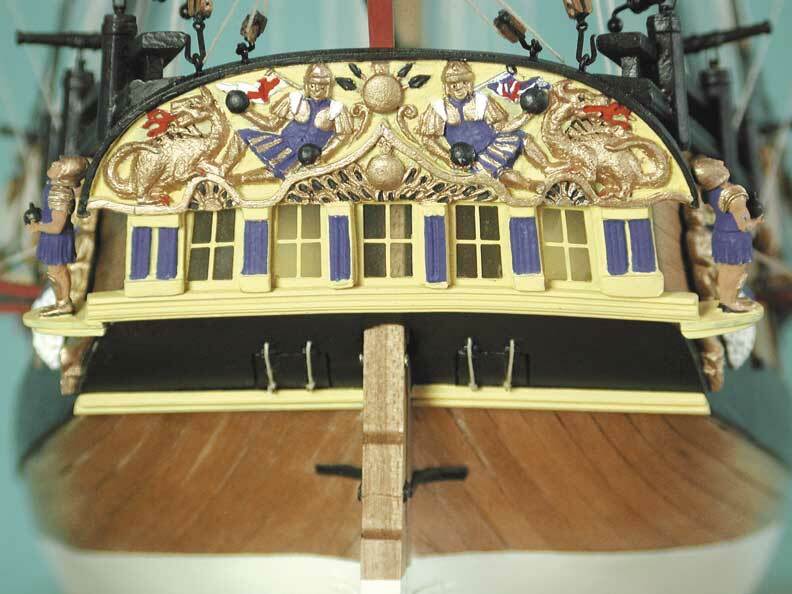 No information for the colouring of the transom and quarter decoration survives and as such was likely to simply have been varnished wood, as shown below. However, having researched the heraldic colours and their usage at the time we have painted the decoration accordingly in order to pick out the detail. 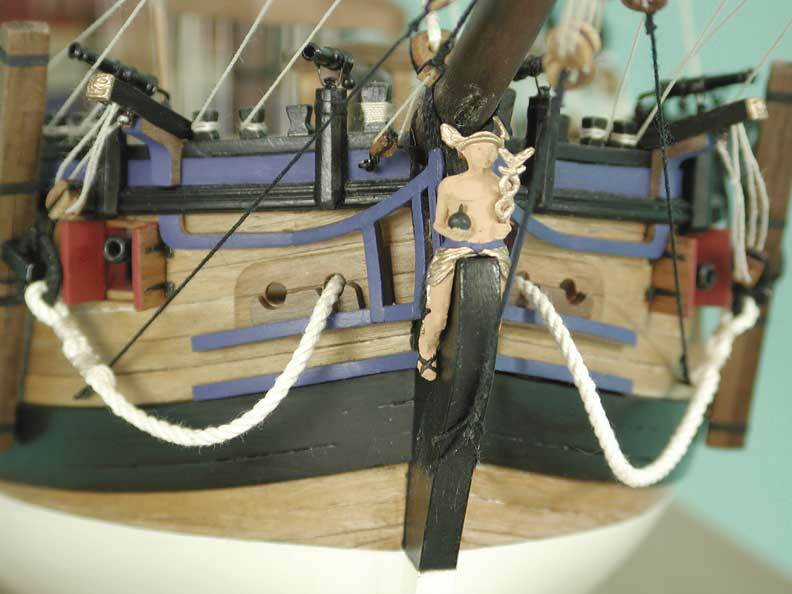 Two shots detailing the bows, headrails and figurehead. Main yard showing the footrope deadeyes. 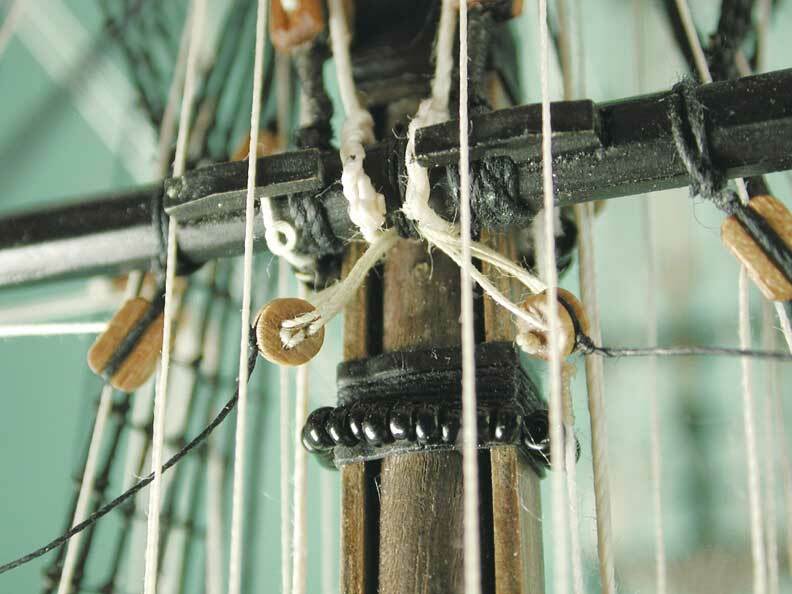 Detailed shot of the rigging for the crowsfeet. Main mast head and main top. 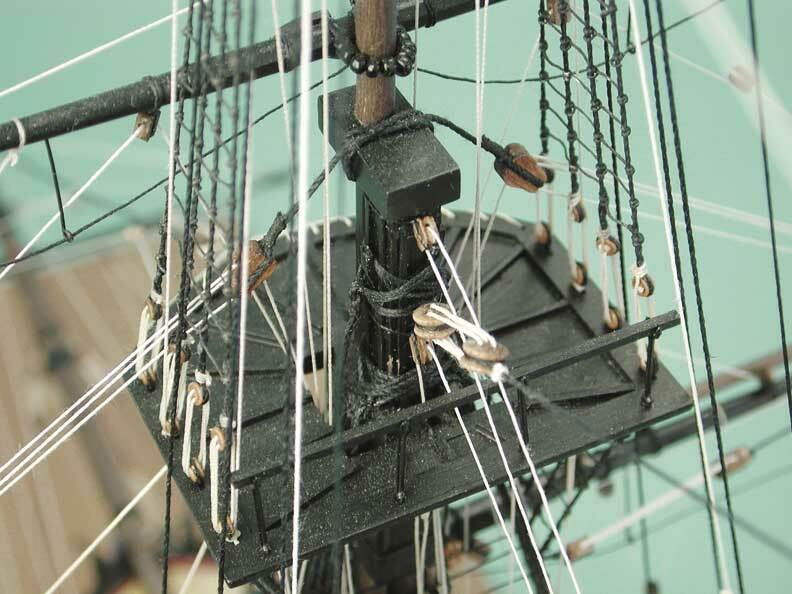 Note the long tackle blocks held in a span around the mast cap for the main yard lift. View the kit information page here! All images and text are copyright © JoTiKa Ltd.
All pictures can be clicked on to view a larger colour version in a new window.